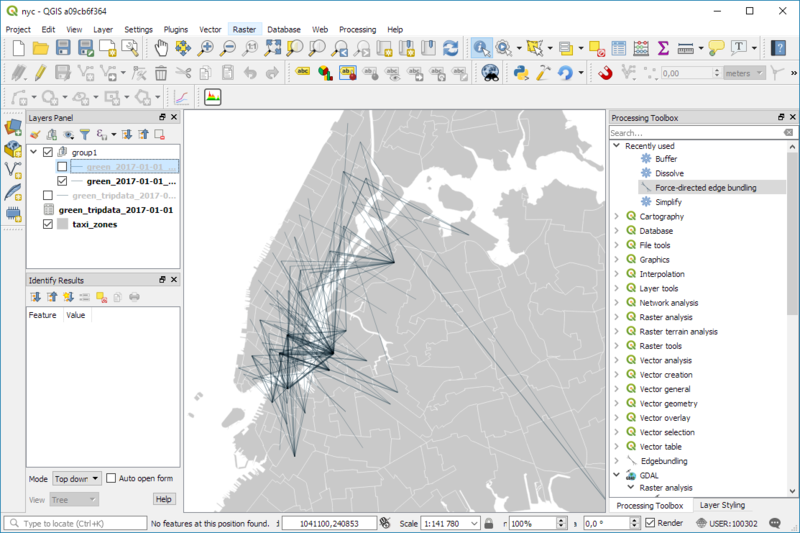 This post shows how to quickly and easily create a small QGIS plugin for counting the number of features within a vector layer. To get started, you will need QGIS and Qt Designer (to design the user interface) installed. 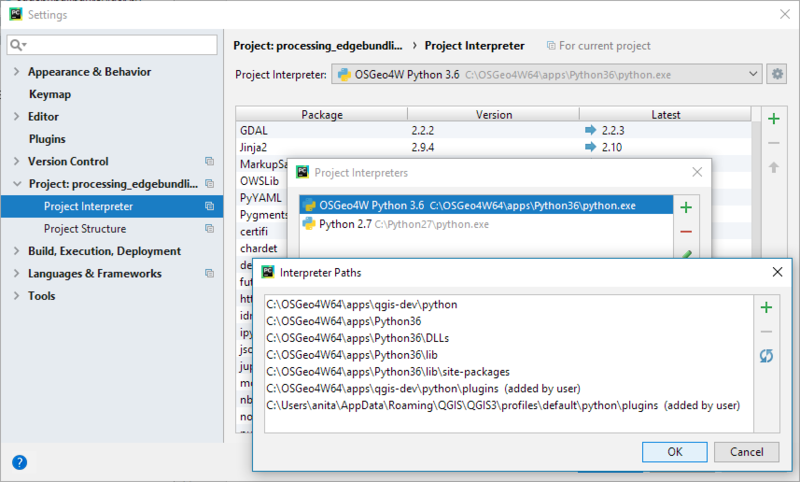 If you are on Windows, I suggest WinPython which provides Qt Designer and Spyder (a Python IDE). 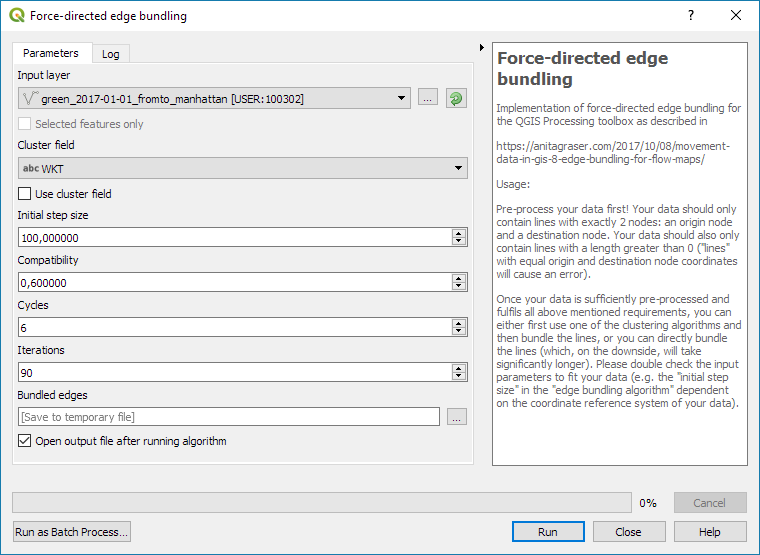 The great thing about creating plugins for QGIS: There is a plugin for that! It’s called Plugin Builder. And while you are at it, also install Plugin Reloader. 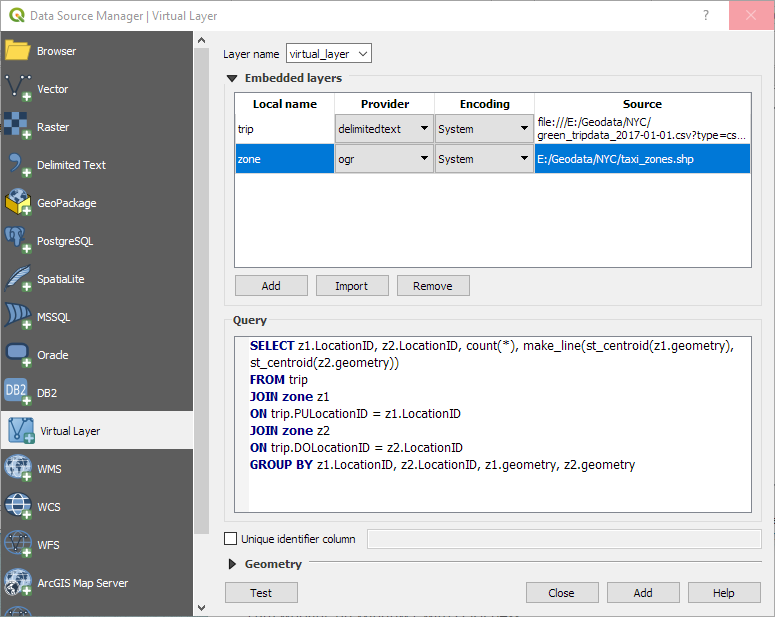 Reloader is very useful for plugin developers because it lets you quickly reload your plugin without having to restart QGIS every time you make changes to the code. Plugin Builder will create all the files we need for our plugin. Just start it and select a name for your plugin class (one word in CamelCase), as well as a name for the plugin itself and the plugin menu entry (can be multiple words). Once you press Ok, you’re asked to select a folder to store the plugin. You can save directly to the QGIS plugin folder ~\.qgis2\python\plugins. 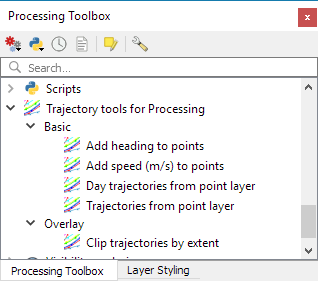 Next, open the newly created folder (in my case ~\.qgis2\python\plugins\BuilderTest). 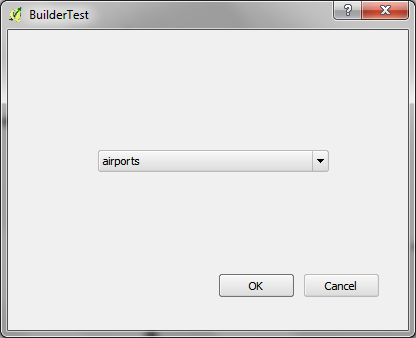 Amongst other files, it contains the user interface file ui_buildertest.ui. 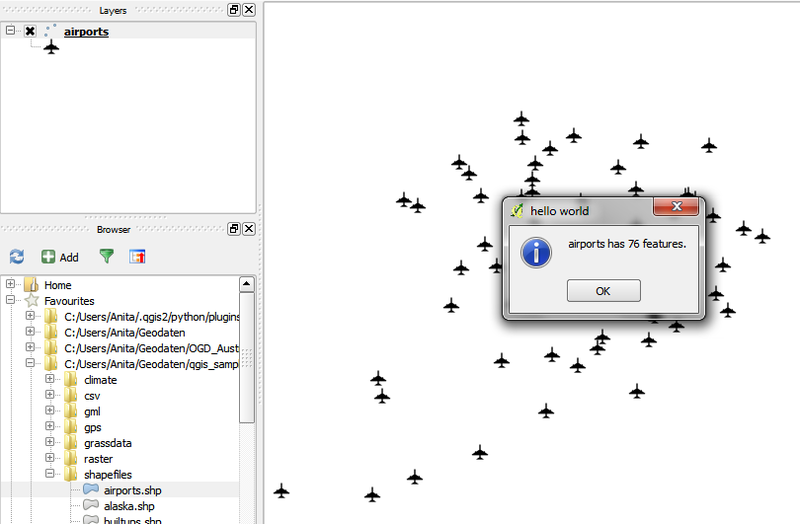 Our plugin will count the number of features in a vector layer. Therefore, it needs a combobox which allows the user to select a layer. 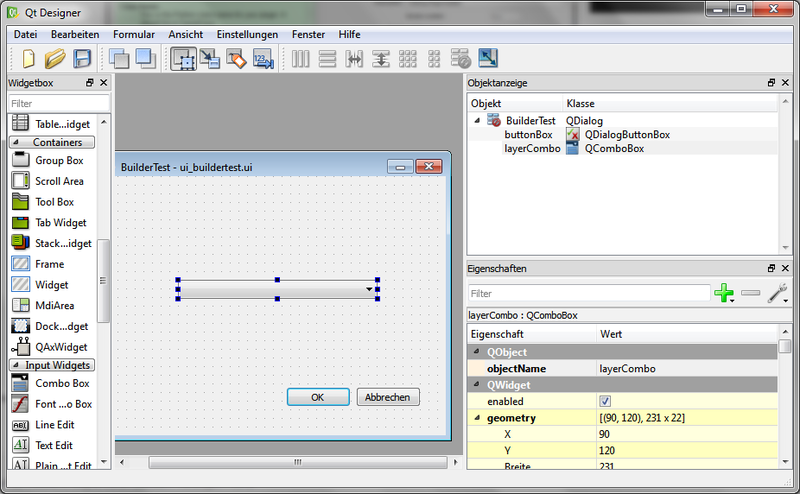 Open the .ui file in Qt Designer and add a combobox to the dialog. Change the object name of the combobox to layerCombo. We’ll later use this name in the plugin code to add items to the combobox. Save the dialog and close Qt Designer. When you are done with the code, you can use Plugin Reloader to load the new version. When you start the plugin now, the combobox will be populated with the names of the vector layers in your current project. And on pressing Ok, the plugin will compute and display the number of features. For more information on PyQGIS and more code samples I warmly recommend the PyQGIS Cookbook. Have fun! As I’m sure you have already heard, QGIS 2.0 will come with a new Python API including many improvements and a generally more pythonic way of doing things. But of course that comes with a price: Old plugins (pre 2.0) won’t work anymore unless they are updated to the new version. Therefore all plugin developers are encouraged to take the time and update their plugins. An overview of changes and howto for updates is available on the QGIS wiki. 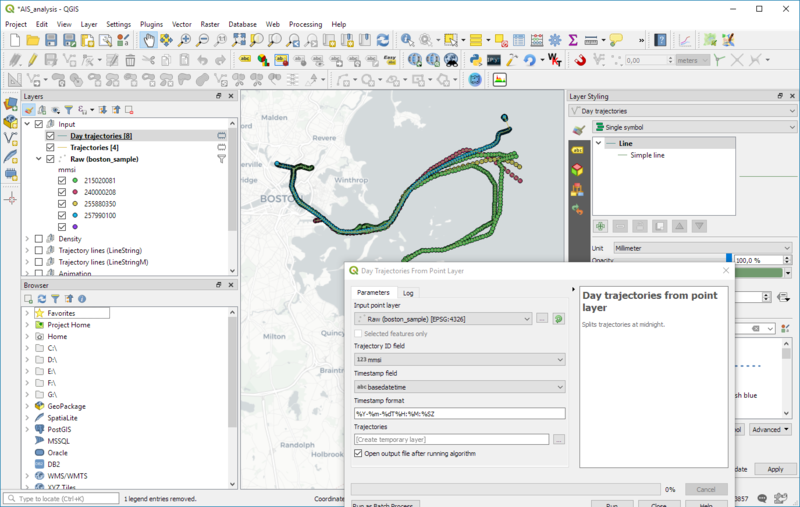 TimeManager for QGIS 2.0 will be available from day 1 of the new release. I’ve tested the usual work flows but don’t hesitate to let me know if you find any problems. The whole update process took two to three hours … sooo many signals to update … but all in all, it was far less painful than expected, thanks to everyone who contributed to the wiki update instructions! Since the release of QGIS 1.8, Plugin Installer no longer includes the “add 3rd party repositories” button. This was an intentional design choice! The new official plugin repository at plugins.qgis.org keeps everything in one place making it easier for users to find documentation and report issues. It will also provide many long-wanted features such as a rating system for plugins. You can already sort by number of downloads to discover the most popular plugins. Last but not least: New users will not be able to discover your plugin if it is not in the repository. Go ahead to plugins.qgis.org and upload your plugin now!